Does it pay to use Celebrities in Telecom ads? How do they Stack Up? 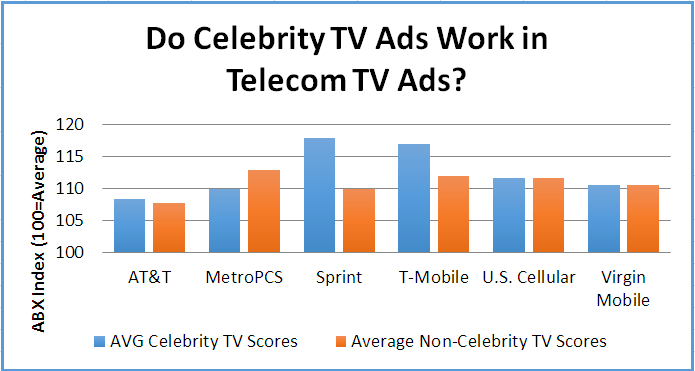 We got to wondering if celebrity spokespeople are worth the big bucks in Telecom/Wireless. So, we pulled all competitor TV spots for 2015 YTD and compared the ad effectiveness scores for those with celebrities against those without. For analysis of ads in other categories, see our Competitive Intelligence resources page.